What is death? What does a thought look like? Does size matter? Prof Brian Cox, Robin Ince and guests ask intriguing queries in The Infinite Monkey Cage. 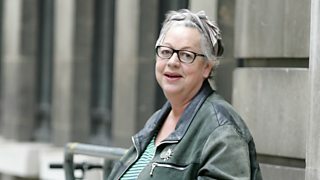 Brian and Robin discuss the scientific nature of death with comedian Katy Brand. Robin Ince and Brian Cox are joined by rationalist comedian and musician Tim Minchin. Debating the advantages and disadvantages of being really huge, or extremely small. Back for a new series, Robin Ince and Brian Cox are joined by impressionist Jon Culshaw. Are parallel universes philosophy or science? 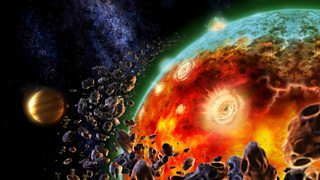 QI creator John Lloyd and solar scientist Dr Lucie Green discuss alternative worlds. Brian Cox and Robin Ince are joined Ben Goldacre, Sophie Scott and Evan Davis. 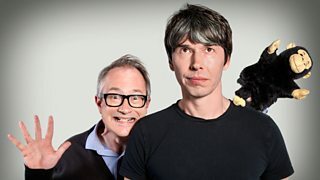 Brian Cox and Robin Ince return for a new series of witty, irreverent science chat. Robin Ince, Brian Cox and guests put science up against the supernatural. Robin Ince and Brian Cox take the Infinite Monkey Cage to Glastonbury. Will the latest advances in biomedical sciences ever lead us to the perfect body?